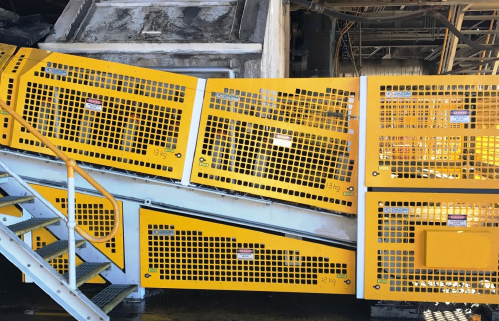 THIS INNOVATIVE SYSTEM IS REVOLUTIONISING PRODUCTIVITY AND SAFETY. 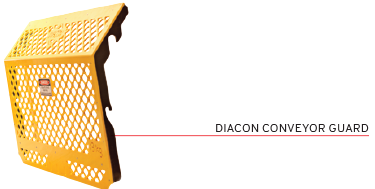 Introducing the Diacon Conveyor System from OEM Group. With spillage falling onto walkways, slips and trips increase. Even more, the airborne dust is unsafe. Spillage also creates mis-alignment. Which causes more spillage, which causes more mis-alignment. This continuous cycle creates belt friction (or the Idlers can seize completely) and leads to costly repairs. The Diacon system prevents these issues. Spillage falling on walkways is a drop hazard. The chance of slips, trips and falls are increased. And airborne dust is increased too. Even more, spillage creates a continuous cost issue; mis-alignment causes spillage and spillage causes mis-alignment. Idlers can seize and belt friction increases leading to costly service and repairs. Complementing the Hungry Board, this modular, lightweight system protects workers from the belt. Easily installed and simple to remove when required. You'll be amazed at how simple it is!